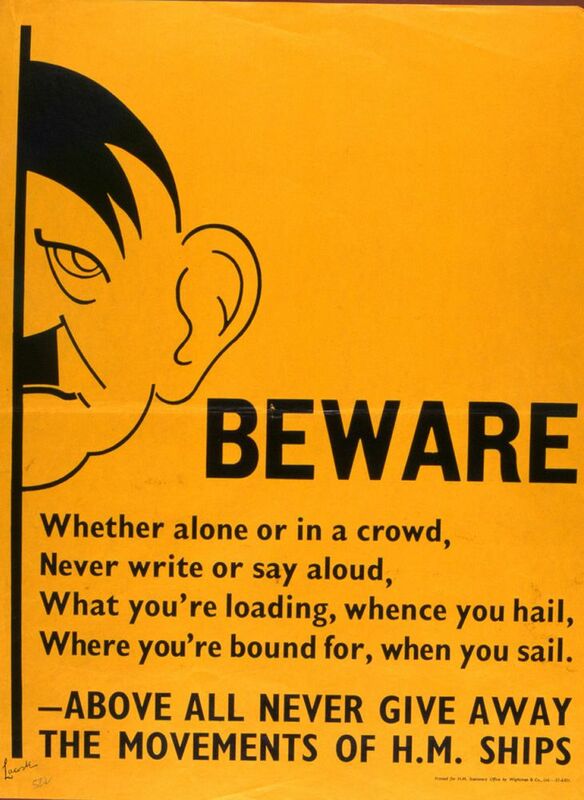 Second World War propaganda poster with caption 'Beware' above a cartoon of Adolf Hitler eavesdropping on a conversation, alongside a rhyming verse warning against disclosing movements of ships. This Beware Art Print is created using state of the art, industry leading Digital printers. The result - a stunning reproduction at an affordable price.